FootJoy Womens Tailored Collection golf shoes offer fashionable styling for all lady golfers.. The graffitit print upper is leather with a velcro buckle closure. The DuraMax spikeless outsole is sleek and durable for on and off-course wear. Footjoy Tailored collection golf shoes feature a memory foam fitbed in the sole for optimal comfort. Love FJ shoes! And these are so classic! Received lots of compliments when I wear them. Cute and waterproof .... had them on when it started to drizzle. Definitely not breathable and seem to run a bit long. 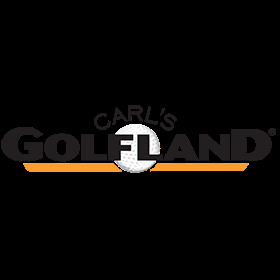 Carl's Golf Land is always the best place to find Foot Joys on sale. Not only is the shipping free but it's quick. I love the Foot Joys Graffiti style, perfect fit, great comfort andthey're waterproof. Will definitely go back for more.